Collision Sentry, the collision warning system from Sentry Protection Products, is making noise – literally! With the recent addition of sound alert to the award-winning product, Collision Sentry now delivers a one-two punch when it comes to warning of impending collisions at blind corner intersections. In industrial settings where forklift traffic and pedestrians intersect, Collision Sentry® forklift collision detection and avoidance products can help reduce or eliminate “blind corner” collisions by providing an audio and visual warning that alerts forklift drivers and pedestrians to approaching traffic. Working like a traffic light to flash a warning, the patent-pending Collision Sentry offers an audio alert, is easy to install, self-powered, highly visible and reliable. Sentry offers 24/7 protection over blind spots at corners and intersections where pedestrian and forklift traffic converge. Battery operated, Collision Sentry works like a traffic light when motion is detected on both sides of the corner up to 25′. Easily mounts to wall corners or pallet rack. Designed with uncompromising quality and standards, our industrial lift tables are available in a variety of sizes and capacities to accommodate your ergonomic needs. Repetitive lifting, reaching and bending is very hard on the body and can lead to fatigue, injuries, product damage and decreased production. 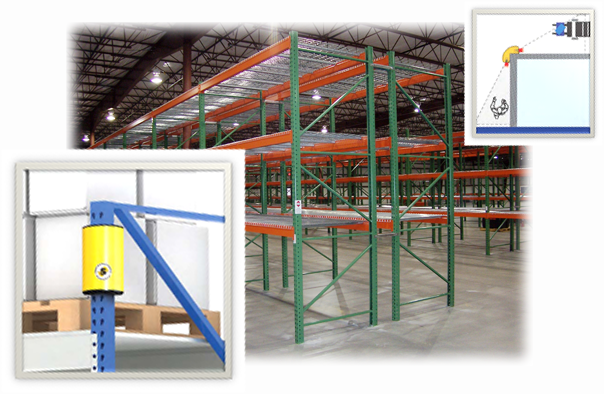 Lift tables are designed to eliminate the need for bending up and down while loading and unloading goods. 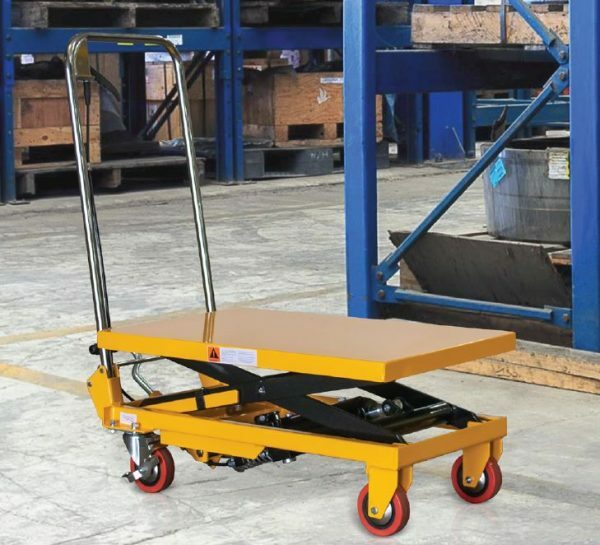 The mobile lift tables move and raise loads to suitable heights for operators. The top of the load is brought closer to the operator, reducing unnecessary reaching and increasing productivity. Designed with uncompromising quality and standards, our ergonomic lift tables are available in a variety of capacities and sizes.